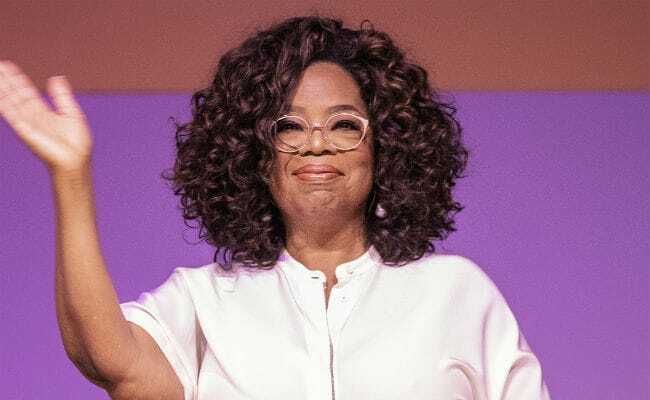 On Monday, ace fashion designer Sabyasachi Mukherjee revealed that actress-talk show host Oprah Winfrey recently wore a custom-made black sari designed by him on the cover of Elle India’s December 2018 edition. Oprah has featured on the magazine’s 22nd anniversary cover. She complemented the sari with 29.5 carats Zambian emerald and diamond earrings from Sabyasachi’s heritage jewellery collection. A picture of the cover was shared by Sabyasachi on his Instagram timeline, who also revealed details about his meeting with Oprah Winfrey on her first trip to India. She had visited India in 2012 and while attending a dinner hosted by the royal family in Jaipur, Oprah Winfrey had also worn a sari designed by Sabyasachi. “Nothing prepares you for meeting Oprah in real life. On her maiden trip to India, Oprah attended a dinner hosted by the royal family in Jaipur and I had the good fortune to dress her in a saree for it. We spent some time discussing India and spirituality, as well as Indian art and handicrafts,” Sabyasachi wrote. On her way to the Jaipur Literary Festival, Oprah Winfrey had visited Sabyasachi’s new store in Mumbai too. “The opening of my store in Kala Ghoda came up in conversation and Oprah promised to swing by in the morning if she got time off from her busy schedule. I thought she was being polite. Oprah isn’t just one of the world’s most influential personalities. She’s larger than life, but also as real as it gets!” Sabyasachi added. After Sabyasachi and The House Of Angadi, Deepika Padukone picked an outfit from the shelves of Anamika Khanna for one of her wedding functions. The designer shared an image of Deepika with her family on her Instagram page and used ‘#weddingfestivities’ in the caption (now edited out) but she did not give away the details of event. 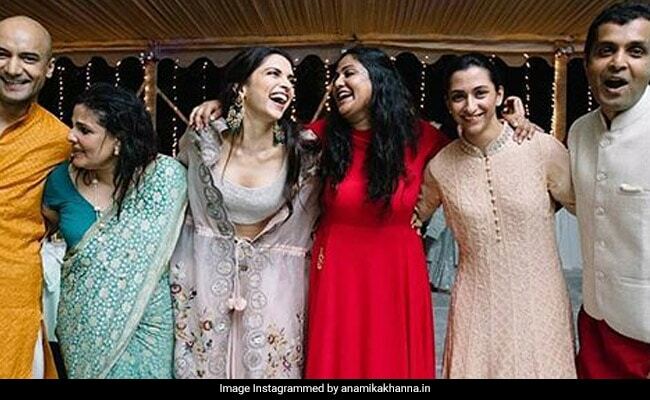 In the picture, Deepika Padukone, dressed in an organza outfit, smiled as she hugged her family (in a very Hum Saath-Saath Hain style). Deepika’s sister Anisha, dressed in a chikankari anarkali, looked pretty. Deepika Padukone married actor Ranveer Singh in Italy earlier this month in the presence of their families and close friends. The couple is gearing up for their first Mumbai reception scheduled for November 28. Anamika Khanna is the third designer Deepika Padukone opted for her wedding festivities, first being her favoured designer Sabyasachi. Deepika also wore a pure zari kanjeevaram saree in gold for the reception, which was a gift by her mother Ujjala Padukone from The House of Angadi. Deepika’s orange and gold saree for the Konkani wedding was also from The House of Angadi. 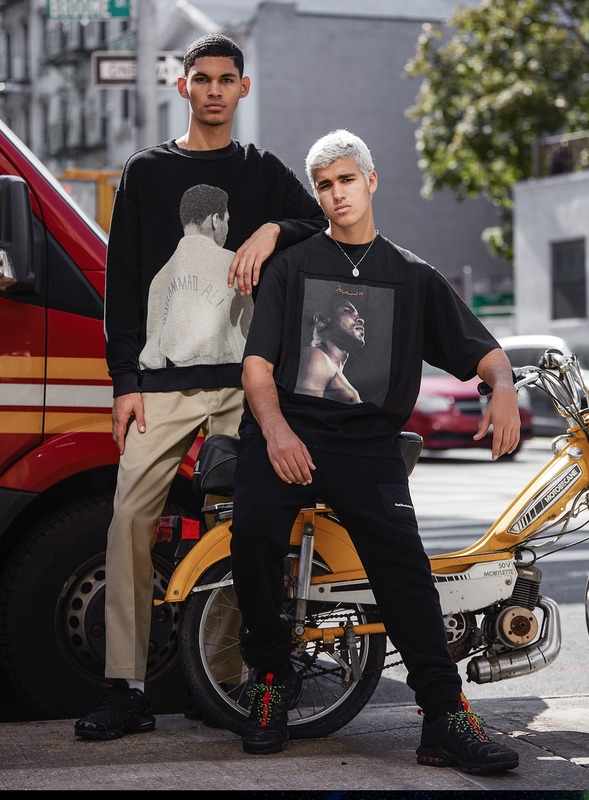 Whether drawn by splendid designs or heartfelt recollections, or the curiosity of what will be the next big thing, streetwear has proudly proven its sustainability in a volatile fashion marketplace. Make no bones about it, streetwear is meant to be enjoyed and experienced in the proper fashion. Rich textures and hues mesmerize the consumers with waves of exotic yet familiar styles. Streetwear is street fashion that saw its humble beginnings take root in California’s surf and skate culture. Since then, it has grown to encompass elements of hip-hop fashion, Japanese street fashion, and lately modern haute couture fashion. Streetwear more than often centers on more relaxed pieces such as jeans, baseball caps, hoodies and sneakers. Nevertheless, let me be clear; streetwear was born in the USA. Throughout history, the USA has played a significantly creative role in fashion and quite often we don’t give ourselves a good pat on the back for our creative developments on fashions timeline of history. The movement is born out of the Los Angeles surf culture of the late 1970s and early 1980s. Even if we look as legendary surfboard designer Shawn Stussy, you’ll find that he began selling printed T-shirts featuring the same trademark signature he used on his custom surfboards. At first, he was selling the Stussy items from his own car. 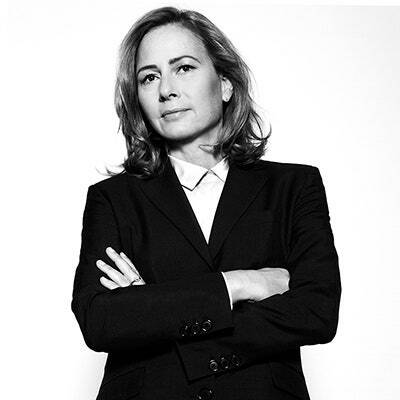 Soon thereafter he expanded sales to boutiques once popularity has increased and Stussy had become a household name. To be clear, the two most important components of streetwear is T-shirts and exclusivity. Early streetwear brands took inspiration from the DIY aesthetic of punk, new wave, heavy metal and later hip hop cultures. Subsequently. well-known sportswear and fashion brands attached themselves to the emerging early 1980s hip hop scene such as Kangol and Adidas. At this point, the game just got interesting. Nike’s signing of soon-to-be basketball superstar Michael Jordan from their rival Adidas in 1984 changed the game altogether, as Nike now dominated the urban streetwear sneaker market in the late 80’s and early 90’s. Moving forward, we witnessed brand launches by the chief executives of major record companies with then heavyweights Russell Simmons of Def Jam launching his Phat Farm label, Sean Combs of Bad Boy with Sean John, and Jay-Z and Damon Dash of Roc-a-Fella Records launching Rocawear. Years later, even rap superstar 50 Cent launched his G-Unit clothing label, with the sneaker rights given to Reebok. This simply meant that the big fashion companies not only saw a future in streetwear but rather embraced the streetwear culture. So where does this leave streetwear now? Recently, we find an increase in established luxury brands entering into the market. Last year, Louis Vuitton proudly named Virgil Abloh (Off-White brand) as the brand menswear creative director. So then, what really popularized the streetwear trend? In a word, the decline of formal wear led to the rise of streetwear fashion. I recently reviewed a streetwear designer brand that peaked my interest. Marcelo Burlon was born in Argentinia. His approach to fashion has caught the attention of new generations on his very own rainbow tour of the social-media era. Moving with his parents to Porto Potenza Picena in Italy at 14, he would become a notorious club kid in Rimini. That was until a career organizing events for major fashion houses and DJ-ing relocated him to Milan in 2012 and paved the way for the launch of his streetwear brand Marcelo Burlon County of Milan. Five years on, he has become a fan phenomenon in Italy and beyond, and the poster boy for a new wave of fashion entrepreneurs who are set on challenging the establishment. Talia, a multimedia staffer, ventures into BART to find some of the latest fashion trends for this weeks episode of Fashion Friday. Think of your most recent clothing purchase: do you know where it was manufactured, whether the people who made it were treated fairly, whether any animals were harmed or the environmental impact of its production? Though most people couldn’t answer these questions, there’s an increasing proportion of consumers that are becoming conscious of what they’re buying. Ethical spending now accounts for £81.3 billion of the UK retail market, according to Ethical Consumer, and KPMG’s latest annual retail survey noted that almost 20% of shoppers were drawn to retailers that they know ethically source their goods. Although high street brands such as H&M and Zara have launched conscious lines, shoppers who are clued up on sustainability are growing frustrated with fast fashion brands who only dip into the ethical retail world. Instead, these are three retailers who provide conscious consumers with a huge selection of clothes, accessories and more, all of which is produced ethically and sustainably. Every ethical shopper is different: one might care more about the workers behind the products; another might be concerned about buying only environmentally-friendly items. s such as H&M and Zara have launched conscious lines, shoppers who are clued up on sustainability are growing frustrated with fast fashion brands who only dip into the ethical retail world. “We are the world.” Trust Virgil Abloh to pinpoint an incredibly apt, multi-resonating, globally inclusive title for his debut at Louis Vuitton menswear. The levels of that clever reference—running from Michael Jackson and Lionel Richie’s 1985 charity single in support of Ethiopian famine relief, through the power source of Afro-cultural creativity in music and style, to the activation of the narrative of an international luxury powerhouse brand—were impressive to contemplate, even before the show kicked off. As the sun shone down on the gardens of the Palais Royal, the significance of his central visual metaphor, the rainbow, also sank in. All colors, all nationalities, all identities, and generations welcome here, it said. Say what you like about Abloh’s qualifications as a fashion designer—he didn’t go to fashion school, he’s accused of appropriating others’ work, all this sort of thing—the overarching role of any leader in office today (fashion, corporate, or political) is to set a tone, personally. In such a divisive, social media–bitchy time, Abloh’s humble-smart, personal-friendly communication skills are of a caliber that can bring people with him. As he faced the biggest test of his credibility today, he deftly set the mood to happiness—that, and a demonstration that, resources unlimited, he can be a bridge between the perceived divide between democratic aspirations and the output at the top of the citadel. He met the challenge of designing for what is essentially a luxury accessories company by merging bags, wallets, and card holders into hybrid garments—holsters, harnesses, protective zippered vests. Somewhere along the way, these layerings became reminiscent of Helmut Lang’s ’90s canon of design: the casual with the formal, the sense of a calmly empowered gang of friends, a new generation coming into its own. ZION WILLIAMSON BLOWN OUT NIKE SHOE IS MISSING … The $250,000 Mystery!! !